Kryssy Becker is thrilled to be back at Tipping Point Theatre! She made her professional debut here as Deb in Ordinary Days, and has loved performing in and developing various fundraiser performances, such as last year's New Year's Eve show, An Enchanted Cabaret. Kryssy holds a B.F.A. in Musical Theatre from Oakland University and has performed in Orlando and Chicago, but is overjoyed to be back home in the Detroit-area theatre scene. Kryssy thanks Dani and James for such a fun opportunity, as well as Logan, family, and friends for their unwavering support and love! David has worked regionally in Chicago and Kansas City and is now a Resident Artist at The Purple Rose Theatre Company where some favorite credits include The Vast Difference, Vino Veritas, Smart Love, 2AZ and Harvey among others. In the upcoming Purple Rose season David will appear in the World Premiere productions of Flint by Jeff Daniels and Willow Run by Jeff Duncan. You can also find David on audible.com if you'd like him to read you a story. www.questensemble.org. To learn more about Jason, please visit www.jasonbowen.net. Ruth has appeared at The Tipping Point in Old Love, The Importance of Being Earnest, Southern Comforts and Rabbit Hole. Locally, she’s worked at The Purple Rose in Harvey and Morning’s at Seven; at Williamston Theatre in A Painted Window; at the JET in Rites of Passage; at The Performance Network in Good People and at The Meadow Brook Theatre in Calendar Girls, Legands, 70, Girls, 70, Mary Stuart, and Enchanted April. As a member of The Colony Theatre in Los Angeles her work included roles in The Cocktail Hour and Ring Round the Moon. Ruth is featured in a number of movies and TV shows filmed in the Detroit area, including a recurring role in Detroiters, as well as Low Winter Sun, Flipped, and Trust. Susan last appeared on stage at Tipping Point in 2012’s, Sandbox Festival. She is thrilled to be back! As a Resident Artist of The Purple Rose Theatre, Susan has appeared in Steel Magnolias, Spring Comedy Festival, Morning’s at Seven, Harvey and has been an Understudy for several plays, most recently God of Carnage. Susan also directs with her next production opening in June at The Dio Theatre in Pinckney. MaryJo is a founding member of Tipping Point Theatre and currently serves as a Vice President of their board. She is a proud member of the Actor’s Equity and SAG-AFTRA. Some of her favorite roles include Jean in Good People (Wilde award nominee: Best Actress in a Drama), Celia in Calendar Girls, Terry in Sideman, Lola in Damn Yankees and Tina in Tony n’ Tina’s Wedding. TPT credits include: “Ann Landers” in Lady With All The Answers (Wilde Award), Fiction, The Cocktail Hour, The Cemetery Club, among others. Michigan audiences may recognize her most recently from The Snow Geese, as well as in Calendar Girls, Games Afoot, The Unavoidable Disappearance of Tom Durnin, and the title role in Mary Stuart, all at Meadow Brook Theatre and in Summer Retreat, and Shirley Valentine at Williamston Theatre. Julia has played many stages across the country: Off Broadway, Kennedy Center, Asolo Theatre, Alabama Shakespeare Festival and the Hollywood Bowl. One such production, Rain, Some Fish, No Elephants, also by Y York, was at New Theatre of Brooklyn twenty-eight years ago. She has appeared in several films, a little TV, and many commercials throughout the years. Sarah Hawkins Moan is delighted to be making her Tipping Point Theatre debut! A native of Indiana, Sarah has been working as an actress, director, and educator across the country for the last ten years. She received her MFA from Wayne State University and apprenticed with the Commonweal Theatre Company in Lanesboro, MN. Past shows include Failure: A Love Story (Gertrude Fail) at Planet Ant; Motherhood Out Loud at the Matrix; Who Am I This Time? And Other Conundrums of Love (Doris/Gloria) at Open Book Theatre, Romeo & Juliet (Juliet’s Nurse - Wilde Award-nominated performance), Boeing Boeing (Gloria), and Big Love (Lydia) at the Hilberry Theatre. Regionally, Sarah has worked with with the Commonweal Theatre Company (Lanesboro, MN), CLIMB Theatre (St. Paul, MN), and Creede Repertory Theatre (Creede, CO). Currently, Sarah makes her home in Hazel Park and teaches at Eastern Michigan University and Henry Ford College. Terry Heck last appeared in a favorite role of hers as Sonia in in Vanya, Sonia, Masha and Spike (Wilde Award nomination). Other favorite roles include Lady Bracknell in The Importance of Being Earnest (Rogue Award), Prof in Taking Shakespeare (Pulsar Award) Marty in Circle Mirror Transformation (Wilde Award for Best Comedy), Zlata in Necessary Targets by Eve Ensler (Detroit Free Press Award) and Suzie in Don’t Dress for Dinner (The Dean Goodman Award for Acting Excellence/ San Francisco). Other professional credits include appearing Off-Broadway in Howard Korders’s Episode 26 at the Lamb’s Theatre as well as regional theatre work at the Alley Theatre in Houston, Cincinnati Playhouse in the Park, Center Repertory in San Francisco, and Actor’s Theatre of St. Paul. Locally she has been seen at Tipping Point Theatre, Performance Network, Purple Rose Theatre, Michigan Shakespeare Festival, Meadowbrook Theatre and Jewish Ensemble Theatre. Terry is a professor and Co-Director of Theatre in The School of Communication, Media and Theatre Arts at Eastern Michigan University. She is also the proud wife of actor/director/teacher, John Seibert and mom of actor Joseph Seibert. Shauna is beyond thrilled to join the Tipping Point Theatre stage! Not only is this her TPT debut, but it is her professional debut as well. She first fell in love with TPT a few years back after taking a class taught by the brilliant James Kuhl, and has made it her mission to perform on this stage ever since! Some of her favorite roles include Betsy/Lindsey in Clybourne Park (St. Dunstan's Theatre Guild), Lt. Cmdr. Joanne Galloway in A Few Good Men (Ridgedale Players), and Karen Andre in Night of January 16th (Avon Players). She also appeared in Cashews in the 2017 Sandbox Play Festival directed by the extraordinary Dani Cochrane. In addition to TPT, Shauna has studied theatre performance at WMU, as well as the Stella Adler Academy of Acting in Los Angeles. Kyle Johnson is thrilled to be making his Tipping Point debut in Office Hours. He earned his BS in Musical Theatre from Ball State University before moving to South Korea where he taught and made theatre for four years. He then returned to the States to earn his MFA in Acting from Wayne State University where he met his new beautiful bride Taylor Morrow! He is very grateful to be transitioning to the Michigan professional theatre world with this role, and looks forward to further opportunities, both with Tipping Point and in the community. Sarab Kamoo was last seen here in Don’t Dress for Dinner and Sleeping Country. Other theater credits include: Sherlock Holmes and the Adventure of the Elusive Ear, Smart Love, Consider the Oyster, and And the Winner is at the Purple Rose Theatre where she is a Resident Artist; Dancing Lessons at the Jewish Ensemble Theater; Falling, and Luce at Meadow Brook Theater; God of Carnage, and Sonia Flew at The Performance Network; 9 Parts of Desire (Critic’s Choice Award - Between the Lines) with Waterworks; Silent Sky, Boom (Best Comedy - Between the Lines 2013) and Panache at Williamston Theatre. Film credits include Stone, Conviction, Trust, The Giant Mechanical Man, Won’t Back Down, Secrets in the Walls, Have a Little Faith, Lovestruck the Musical and episodes of Detroiters, Low Winter Sun and Chicago Fire. In addition to her acting, Sarab is also a part-time school social worker in the Rochester School District. Alysia Kolascz was last seen at Tipping Point in Leaving Iowa. Some of Alysia’s previous credits include The Taming (Williamston Theatre), The Harassment of Iris Malloy (Detroit Public Theatre), Pulp (Williamston Theatre), Bright Half Life (Theatre Nova), Gift of the Magi (Performance Network Theatre), I Hate Hamlet (Tipping Point Theatre), Ebenezer (Tipping Point Theatre), Equus (Blackbird Theatre), It Came From Mars (Performance Network Theatre/Williamston Theatre) and Jack Goes Boating (Blackbird Theatre). Past TPT acting credits include Austin in True West, Starbuck in The Rainmaker and Jack in The Importance of Being Earnest as well as writing The Kings of Unionville and directing numerous TPT shows. 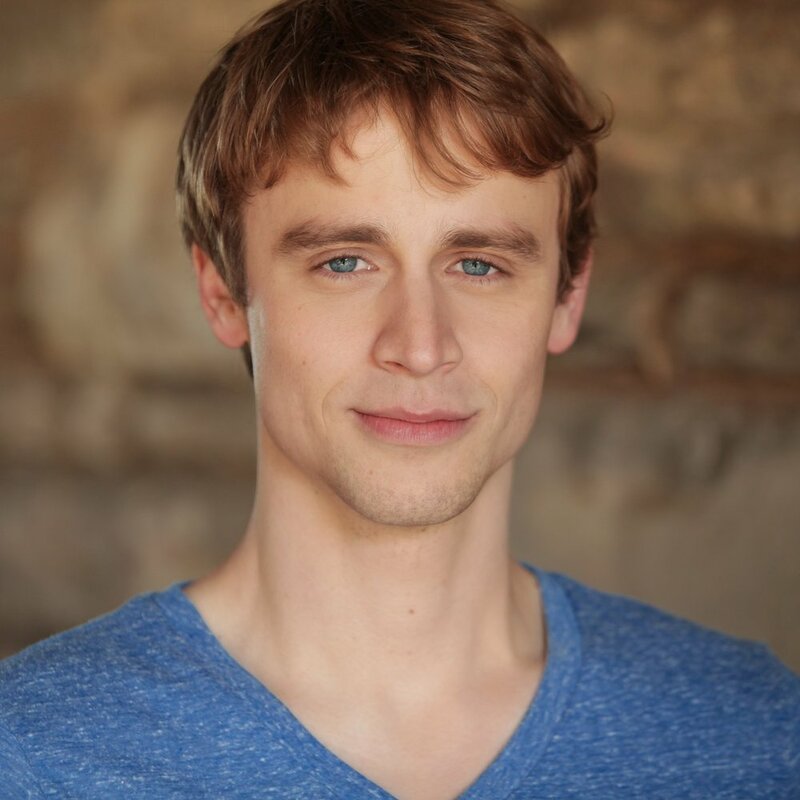 An MFA graduate of the Hilberry Theatre program at Wayne State University, as well as The Purple Rose Apprentice Program, James has worked as an actor with The Purple Rose Theatre Company, Michigan Shakespeare Festival, Boarshead Theatre, Spotlight Theatre, Croswell Opera House, and the Summer Studio Theatre in Illinois. Alex last appeared on stage at TPT in The Outgoing Tide. A resident artist at the Purple Rose Theatre Company, Alex’s PRTC credits include Wake, Gravity (as Sir Isaac Newton), Best of Friends, Some Couples May…, White Buffalo, Superior Donuts, Redwood Curtain, and Vino Veritas. Other Michigan stage appearances include Good People (Performance Network), Panache (Wilde Award for Best Actor in a Comedy), The Gravedigger: A Frankenstein Story, and The Nerd (Williamston Theatre). A native New Yorker, Alex has appeared Off Broadway at The Pearl Theatre (As You Like It, Tartuffe), Circle-in-the-Square (The Valley of the Dolls), and too many Off-Off Broadway theatres to list. Alex’s recent film appearances include Mitch Albom’s Have a Little Faith, Pilot Error, and Batman v Superman: Dawn of Justice. He is also a full-time Performing Arts teacher in the Ann Arbor Public Schools and Co-Sponsor of the Pioneer Theatre Guild. Patrick is delighted to be back at Tipping Point. He is a proud Detroit resident who studied theatre at Wayne State University as a member of the BFA program, and has been acting in and around the area since 1998. He has appeared on many stages including Planet Ant, Open Book Theatre, The Ringwald Theatre, Matrix Theatre, and others. Credits include Manolo Costazuela in The Odd Couple (The Female Version at Tipping Point Theatre), Skip in Summer Retreat (Williamston Theatre), Liberty Valance in The Man Who Shot Liberty Valance (Tipping Point Theatre), Martin Macabee in Renaissance Man (The Penny Seats Theatre), Joel in Beau Jest (Williamston Theatre), Benjamin in Ripcord ( Tipping Point Theatre), Rob Graff in Northern Aggression (Tipping Point Theatre) and was most recently seen as Delmount in The Miss Firecracker Contest right here at Tipping Point. He originated the role of Doc in Northern Aggression at Williamston Theatre when the play was called And the Creek Don’t Rise. Tom last appeared at TPT in James Kuhl’s The Kings of Unionville, and prior to that, The Cocktail Hour, Cemetery Club, and the award winning productions of Southern Comforts, and Old Love. Richard Marlatt has worked with various Michigan theatres including: Meadow Brook (Fermi - Atomic, George - Burt and Me, Henry - Syncopation, The Three Musketeers, Calendar Girls, Sisters of Swing, A Christmas Carol, etc. ), Barn Theatre (Mr. Banks - Mary Poppins, Joe Pulitzer - Newsies), Jewish Ensemble Theatre, Michigan Opera Theatre, and Boarshead. Based in Chicago for many years, Richard worked as an actor and director there in countless theatres: Ravinia Festival (Sunday in the Park With George),Light Opera Works (Ragtime), Chicago Dramatists (Associate Artist),The Goodman, Paramount, Marriott Theatre, Provision, Drury Lane, Noble Fool, Theatre At The Center, Candlelight/Forum, and Shaw Chicago, among others. Various Regional credits include coast to coast tours, and work with: Cincinnati Shakespeare (Claudius - Hamlet),Madison Repertory (Torvald - A Doll’s House), Nebraska Shakespeare (Titus - Titus Andronicus), Human Race Theatre Company (Tito - Lend Me A Tenor), Fireside Theatre (Ebenezer Scrooge), Nebraska Repertory (Morgan - Drawer Boy, Midas - Metamorphoses), Little Theatre On The Square (Footloose, The Full Monty), Peninsula Players, and Actors Theatre of Louisville. Other notable roles include: Abraham Lincoln in the one-man Abraham Lincoln Carved in Stone, King Henry in Lion in Winter, Hamlet, Falstaff, Don Quixote, and Dracula. Richard also works as a stage director and appears in Independent Film, and trained at London’s Royal National Theatre of Great Britain, and at the National Shakespeare Conservatory in New York. He has a Degree in Theatre as an Actor and Director from Central Michigan University. Over the years Sonja has worked at TPT as both an actor and sound designer for numerous shows. Other credits include: JET, The Dio, Theatre Nova, Encore Musical Theatre Company, Performance Network, Purple Rose Theatre Company, The Ringwald and Planet Ant. Sonja is also an improviser with ComedySportz Detroit, a director with the Plymouth Uptown Players (PUPs) youth theatre, and a theatre arts instructor for Plymouth Community Arts Council’s summer camps. She last appeared onstage here in Boeing Boeing, Red King's Dream, Crimes of the Heart, and Rabbit Hole. Recent credits elsewhere: Disgraced at the Jewish Ensemble Theatre, Dot and American Hero at the Detroit Public Theatre, Venus in Fur at the Performance Network. Angela is an alumna of the internationally known organization of Up With People, an Associate Artist at The Purple Rose Theatre Company and a proud member of the Actor’s Equity Association. Some other theatre credits include; Our Town; The Vast Difference; Godspell; Lend Me a Tenor and The Light in the Piazza. As a resident of Northville, Amy is crazy proud of the quality of theater Tipping Point brings to the city. Several years ago, she took an improv class here and got hooked (thank you Dave Davies). Since then she’s performed at several theaters in the metro area. Some favorite roles include Dinah in the Dixie Swim Club at the Dio Theatre; Maggie in Jake’s Women at Two Muses Theatre; and the Greek Chorus in How I Learned to Drive at Two Muses. Brian is an Artist and Playwright in Residence for The Purple Rose Theatre Company, a member of the Society of American Fight Directors, holds his Master of Fine Arts in Acting from the Hilberry Theatre at Wayne State University, and has appeared in plays at the JET and Royal Oak Shakespeare Company. He is also a Firefighter/EMT. Nancy is delighted to return to the Tipping Point stage. Nancy is originally from England and has a degree in Theatre from Nottingham University England. Nancy has performed at several other theatres throughout Southeast Michigan: Shakespeare in the Park with Waterworks Theatre, The Dio, Two Muses, as well as The Snug & Riverbank theatres in Marine City. Nancy is also a proud member of the Greenfield Village Actors Company at The Henry Ford. Nancy has also developed a puppet theatre company ‘Once Upon a Puppet’, which travels around Michigan and provides the experience of live performance through the art of puppetry to children. Melynee most recently appeared on the Tipping Point stage as Suzanne in Don't Dress for Dinner. Locally, she has been seen at Meadow Brook Theatre and with The Penny Seats. She works as an Adjunct Lecturer at the University of Michigan and Eastern Michigan University, teaching Voice and Articulation. She received her Master of Fine Arts from CWRU/Cleveland Play House. Other roles include: Lady Capulet in Romeo and Juliet (Shakespeare on the Hudson, NY); Charlotte Lucas in Pride & Prejudice (Cleveland Play House, OH); Thyona in Big Love (CPH MFA Series, OH); Anna Christie in Anna Christie (Monomoy, MA); and Goneril in King Lear (Cleveland Shakespeare Festival, OH). Vanessa Sawson is so happy to back at The Tipping Point after appearing in I Hate Hamlet a few seasons ago. After venturing off to work with Cincinnati Shakespeare Company as an ensemble and touring company member, she returned home this past year to work with Michigan Shakespeare Festival (Julius Caesar, The Seagull), Williamston Theatre (Beau Jest), and Kickshaw Theatre (Or,). Vanessa holds an MFA in acting from Wayne State University. Hope Shangle received her BFA in Dramatic Performance from the University of Cincinnati’s College-Conservatory of Music. Post graduation, Hope was lucky enough to work with The Know Theatre in Cincinnati on Afghan Women's Writing Project as Daughter and The Circle Theatre on Wait Until Dark as Susy Hendrix. She just concluded her apprenticeship at the Purple Rose Theatre and joyfully found herself cast in David MacGregor's Just Desserts at the Samuel French Off Off Broadway Short Play Festival. Originally from Zeeland, Michigan, Katie has a Bachelor of Arts in Theatre from Hope College. Her other training includes a year-long apprenticeship with The Purple Rose Theatre and a summer acting apprenticeship with the Williamstown Theatre Festival in Massachusetts. Katie has performed in theaters throughout Southeast Michigan and has portrayed Laura Ingalls for several summers at Greenfield Village. Now based in New York, Katie's most recent projects include a leading role in a 360-digital VR film directed by award-winning Argentinian director, Jose Celestino Campusano, and a featured role in a film starring Andie MacDowell, which premiered at the 2017 Tribeca Film Festival. Formerly, Katie used to work at TPT as the administrative coordinator. Nick did his apprenticeship at Tipping Point during the 2014-2015 season. He has been seen as Jimmy in The Rainmaker, Jesus in The Odd Couple (female version), and Home for the Holidays. Nick received his B.F.A. from Wayne State, and also studied abroad at the Moscow Art Theatre School. Some of his recent roles include Casey/Georgia in The Legend of Georgia McBride (Ringwald Theatre, Theatre Nova), Nick in Who's Afraid of Virginia Woolf (Performance Network), Picasso in Picasso at the Lapin Agile (Open Book), Rocky in The Rocky Horror Show (Ringwald), and Osric/Marcellus in Hamlet (Waterworks). Joe Zarrow is an actor and playwright. He has appeared on CHICAGO PD, and other favorite roles include Jeffrey in THE TOTALITARIANS (Theatre Nova), Alan in THIS (Windy City Playhouse), and Tony Kushner in workshops of Calamity West's ENGINES AND INSTRUMENTS OF FLIGHT: A FANTASIA (The Goodman). Joe's play RETCON, OR ACTUALLY IT'S A PLAY ABOUT ETHICS IN SUPERHERO JOURNALISM was recently developed at Theatre Nova, and his school satire PRINCIPAL PRINCIPLE premiered in Chicago and has been produced in cities ranging from Atlanta to Auckland. Joe is a proud graduate of the School at Steppenwolf.